According to a forecast by International Energy Agency, the use of Electric Vehicles will grow from 3 million to 125 million by the year 2030. That is almost 41 times of what it is today, with the increasing demand of fossil fuel and problems with pollution it seems most likely to happen. Owing to that, all major IC Engine Car manufacturers like Ford and GM are slowly turning their attention towards the Electric Vehicles. The market and consumers are in need for a cheaper personal transportation and even on top of that, the government has started supporting Electric Vehicles through its policies. Considering all these facts it is pretty much evident that very soon we will find Electric Cars zooming all around our Roads. Or should I also include the Space, where there is already one Tesla car traveling beyond Mars as I write this article. This change has already begun to show symptoms. In the past few years there have emerged many successful Electric Vehicle manufactures like Tesla, Kia Soul, Navistar and Kandi to name a few. And because of them there have also been many technology breakthroughs in the area of batteries and motors of an Electric Vehicle. While the changes are underway, it is time for us as engineers to understand what’s under the hood of an Electric car and how they work. So in this article let’s break down an Electric Vehicle to its bones and flesh to learn about them. Important Note: Before we dive in I would like to mention that the term Electric Vehicle is a vast ground. Any locomotive that does not have a fuel tank is referred to as an Electric Vehicle. But in this article by Electric vehicle or EV in short, I am referring only to Electric cars, bus and trucks. Unless otherwise specified special EVs like segway, Airborne or waterborne EV’s are not within the scope of this article. What makes an Electric Car? An Electric Car is an automobile by itself and consists of many components and a large cluster of wires connecting them all. But there are few basic bare minimum materials for an Electric Car which is shown in the block diagram below. The Engine of a conventional IC Engine Car is replaced by an electrical Motor and the fuel tank is replaced by the Battery Pack. Of all the components only the Battery Pack and Motor alone contributes to about more than 50% of the total cars weight and the price. As you can see the Battery Pack, Battery Management System (BMS) Controller, Motor and the Transmission unit forms the major components in an EV. The Battery Pack is the fuel source of the car, since there are hundreds of cells arranged to form a battery pack a special circuit is required to monitor these cells, this circuit is called as the Battery Monitoring circuit. The DC voltage from battery cannot be used to drive a motor so we need the controller which drives the motor, and the Transmission system transfers the rotational energy from motor on to the wheels through some gear arrangements. Let’s look into each Part in details to understand more on EV’s. Batteries are the fuel source for Electric Cars, but it is also important to know that batteries are not the only source of fuels. There are other alternatives to power an EV like a Fuel cell or Super capacitors but both of them are still in development stage and no commercial cars on the road use them. So let us focus only on Battery Operated EV in this article. The first think you should know about batteries in EV is that, unlike your mobile phone which has only one battery EV’s are powered by hundreds if not thousands of batteries joined together as a pack. To give you an idea the Tesla has 7000 batteries and the Chevrolet spark has 600 Batteries inside them. The complete battery anarchy consists of the Cell, Battery Module and Battery Pack. The cell refers to a single battery. There many different sizes and shapes for a cell based on the chemistry. Most commonly used chemistry is the Lead-Acid Batteries and Lithium Batteries. 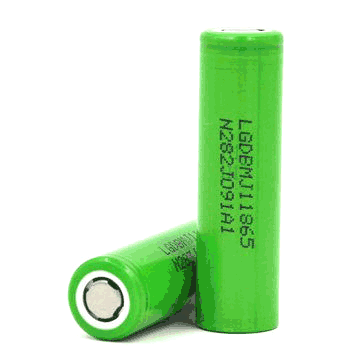 These batteries are available in many different shapes like cylindrical, Coin, Prismatic and Flat type few of which are shown below. The voltage rating of the cells (per cell) will be anywhere from 3.7V for a lithium batteries and a maximum of 12V for Lead-Acid batteries. But, as you might have guessed this voltage is not enough to run an electric car. The Tesla for example has a battery pack voltage of 356 Voltas and even for a normal electric bi-cycle we need a minimum of 36V so how do we get this higher voltage from lithium cells that are only 3.7V? So to get the higher voltage from 3.7v lithium cells, battery packs are used which are formed by combining more than one battery together. When two batteries are connected in series their voltage ratings is added and when two batteries are connected in parallel their Ah rating is added. For example assume we have 3.7V 2000mAh Lithium batteries. If you connect two of these in series the resulting system is called a module and this module will have 7.4V 2000mAh. Likewise if we connect two of these in parallel the resulting module will be 3.7V 4000mAh. A single lithium cell voltage and Ah rating is not enough to drive an EV, so these cells are connected in series and parallel configuration to increase the resulting system voltage. This pack is called as a module. For people who are new to batteries the term Ah might be confusing there are lot of such parameters related to batteries which we will cover in a separate article. For now you can think of Ah as the fuel range of an EV more the Ah more the mileage we can get out of the EV. Once the system Voltage and Ah rating is obtained by combining various modules in series and parallel configuration this set-up should be placed inside the EV. But it is not so easy; the reason is -its complexity. Lithium cells are unstable in nature any mishap like short circuit or excess charging or discharging can make there batteries get very hot leading to fire or explosion. So the voltage current and temperature of each cell should be monitored for a safe operation. The duty of monitoring the cells during the charging and discharging procedure is given to the circuit called Battery Management system or BMS for short. We will get deep into it later. So, once the battery modulus is ready it should be connected to the BMS and a cooling system for safe operation of battery. The complete set-up is kept in a steel casing to prevent mechanical damage. This complete arrangement along with the BMS, cooling system casing and the battery modules all together is called as a Battery Pack of a car. These packs will normally be big and occupy the entire floor areas of an EV as shown in the picture below, taken from wikipedia. This image is of the Nissan Leaf cut half way for you to give an idea. There is still tons of information to be covered on the batteries but for the sake of this tutorial let us wind it up with this. Now that we have known about Batteries in EV the follow up would be to know about battery Management system. A BMS is like the brain or caretaker of batteries, as we saw earlier there are many batteries in an EV and each battery has to be monitored to ensure safety. For Lead Acid batteries BMS is not mandatory although some people use it but for Lithium cells due to its unstable nature BMS becomes essential. Almost all lithium cells come with their own protection circuit if they are used in consumer electronics. This is because if they are not handled properly, like overcharging or over discharging then the battery would get hot and might even burn. The circuit simply monitors the cell voltage or current and breaks the connection to the load if it exceeds safe limits. There are a lot of ways for doing this which we will discuss in a separate article. 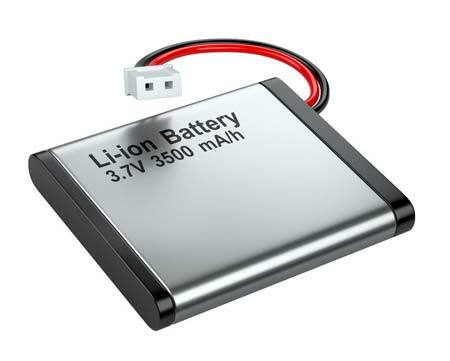 Although if you want to learn more about lithium batteries then check this article. Every BMS measures only three vital parameters of the battery which are the Voltage, current and Temperate of the cell. It constantly compares these values with safety limits and disconnects the load if they exceed the threshold values. Apart from safety purpose the BMS is also used for some computational purpose, like measuring the SOC and SOH of a battery. SOC stands for Sate of Charge and SOH stands for State of health. Unlike an ICE Car the amount of fuel left in the battery cannot be measured by directly look at it. Some people even think that measuring the voltage across the terminals of the battery can give you the battery capacity, well it’s not true and it is not that easy. Similarly SOH gives the life expectancy of the battery. Both SOC and SOH are vital information for a consumer since SOC tells you how far you can drive before recharge and SOH tells you when it’s time to replace your batteries. It is the duty of the BMS to measure both these parameters. How does this measuring take place is totally a different story and we will cover in a separate article. BMS circuits are often complex, a simple 4 Cell Lithium BMS is shown in the picture below. Imagine the BMS of a car that has to monitor around 7000 cell. While batteries are the fuel tanks of an EV, the motors are the Engines of them. There are many types of Motors used in EV and the one used for Scooters and bikes is totally different form the one that is used in cars. Let’s have a quick look on the commonly used ones that are BLDC motors, Brushed DC motors and AC Induction Motor. A more detailed article on EV motors will be covered later. In BLDC Hub type motor, the rotor of the magnet is the wheel itself, meaning there is no need of coupling arrangement since the rim of the wheel forms the motor. These motors are also called as the BLDC out runner motor. Advantage of this type of motor is that there is less mechanical loss and since there is no transmission unit cost and weight is reduced. Downside is that we cannot have gear ratio of high power motors due to size limitations. A BLDC hub motor of scooter is shown below. Almost all electric cycles and scooters you find on road uses such type of motors. BLDC In-runner Motors: Another type of BLDC motors are the In-runner types. They are used in applications where a transmission unit is required. They are normally coupled along with a differential for 3-wheeled or 4-wheeled EVs. These motors look like normal motors with a shaft and the shaft rotates when the motor is powered. An In-runner type Motor of an E-rickshaw coupled with differential is shown below. AC Induction Motors: Most Modern day Electric cars like the Tesla uses an AC Induction motor. The Tesla model S for instance uses a 3-phase AC Induction Motor. Well you might have already guessed it because the company itself is named after Tesla who invented the three phase AC Induction motor. The reason why these motors are selected is that they do not have permanent magnets within them and thus low cost. It also has good life since there are no magnets, magnets would lose their tendency in day course. The downside of the motor would be that it is hard to control the speed and torque of the motor and advanced circuitries are required. Below is the image of Tesla Model S front wheel, taken from Wikipedia. There is a very good chance that this question already struck you. We know EV runs on battery which are DC powered and we have motors that run on three phase AC. How will both of these work together? This job is taken car by the Controller, from a basic bi-cycle till a Tesla Roadster every EV has its own controller that converts the DC voltage from the Battery to a suitable level for the Motors to run. It also controls the speed of the motor. The controller gets all the inputs form the user like the amount of throttle (acceleration), breaks pressure, driving mode etc and controls the speed of the motor accordingly. If motors are considered to the muscle of a car, controller is its brain. A controller is often a generic term and it might include other circuits like a DC-DC converter, Speed controller, Inverter etc. The DC-DC converter is used to power all the peripherals of the car like the infotainment system, Headlights and other low level electronic devices. Apart from this the controller also takes care of regenerative braking. It is the process of converting kinetic energy into electric energy. That is when the EV runs down a slope the motor are rotating freely due to the kinetic energy, at this situation the motors can be made to act as a generator so that the power thus obtained can be used to charge the batteries. Most modern day EV’s have this but its performance and functionality is still debatable. Another important component in an EV which requires advancement is the Chargers. An average E-Car takes a minimum of 5 hours to get charge that combined with its very low mileage becomes a disaster. An average American drives more than 50km per day, in this scenario an EV which gives a rage of 90km for full charge has to get charged almost every day. This makes the charges a most used component. It gets plugged into the AC mains and converts the AC to DC to charge the batteries. But there are more to add to it. Charging is a process in which the batteries and charger should coexist you cannot push current inside a battery if the battery is not ready to accept it. There are many types of chargers; the most common types are discussed below. Level 1 Charger: These are the most basic chargers and it is probably the one that you get along with your car. They take a long time to charge the batteries since they operate in 120V AC, They convert this 120V AC to DC and use it to charge the batteries. The current rating of the charger will also be low somewhere near 8-10 A, this means you will be sending less current and thus taking a long time to charge your batteries overnight. On the positive side, this method improves the life cycle of the battery since our charging current is less. Level 2 Charger: These are a bit faster that Level 1 charger, it depends on the manufacturer to provide you with Level 1 or Level 2 charger. Level 2 chargers operate on higher voltages like 240V or above and also have high current rating near 40A to 50A. This makes the car to get charged faster. Level 3 chargers: Level 3 chargers are the game changers, this are also called as the super chargers or fast chargers. They can charge your car to 60% of its total capacity within 30 minutes. The downside is that since it is pushing a lot of current inside your battery like 100A for a Tesla (insane! Yes) the batteries inside would feel like taking a crash course all year. So eventually the life of the battery is reduced. Also most superchargers do not charge the batteries till 100% since more time will be required to charge the battery from 80% to 100%. A super charger station of Tesla is shown below. I believe by now you have an overview of what an EV actually is and how it works. From here let us address few common questions that arise with EV in everyone’s mind. Since electricity also comes from coal Power plant. Are electric Vehicles really Green? This question has been debatable while EV run in batteries the electricity to charge these batteries comes from power plant and about 61% of worlds electricity is produced from non-renewable resources like coal and gas according to a survey shown below. Apart from this the batteries of the EV is made of harmful chemicals and when get disposed they again pollute the environment. Considering all this the EV might not be as eco-friendly as we thought it would be. Or is it? Many experts agree on the conclusion that EVs are defiantly greener than conventional ICE vehicles. It is because of the following reasons. Sustainability: Like EV’s are getting popular so are the renewable energy sector. We are slowly moving towards Wind and Solar for electricity generation and thus making the electricity generation process greener. Fuel Transportation cost: Many people do not consider this. The gasoline that you get in your gas station has been pumped, processed and transported from an oil-well elsewhere. All these process involve pollution at some level. On the other hand for EVs the electricity is transmitted from Power plant to your house through wires and this set-up is already established. Energy Regeneration: Another that is only possible with EVs is Electricity re-generation. This does not add much but still it has a small impact on making the EVs greener. So to conclude EVs are sure to be a lot greener than ICE if we shift towards renewable energy for electricity production and practice safe disposal of batteries. Some people tend to use the term Hybrid Vehicle and Electric Vehicle interchangeably which is not the case. Both have entirely different meaning. To put it in lay mans terms if the vehicle runs both on Electricity and gas then it is a hybrid vehicle, if it runs only on Electricity and cannot run on gas then it is called as Electric Vehicle. You can make sure if a car is EV by checking if it has a fuel tank, if there is not fuel tank then the car is surely an EV. Both EVs and Hybrids have they own significance, A hybrid car can rule out the disadvantages of EV like fuel time, short travel range etc but since it has the hardware for both ICE and EV these cars are normally costly. Hybrids cars are normally aimed to increase the efficiency of a Car by leveraging a Motor to run the car at low speeds.